Insignia Futures & Options provides managed futures investment programs to both individual and institutional investors world-wide. Managed futures have been used successfully by investment management professionals for more than 30 years. In the past, institutional investors looking to maximize portfolio exposure utilized managed futures as an integral component of a well diversified portfolio. Now, managed futures are used by both institutional as well as individual investors looking for the same well balanced and diversified investment portfolio. With the ability to go both long and short, managed futures are highly flexible financial instruments with the potential to profit from rising and falling markets. Moreover, managed futures programs have virtually no correlation to traditional asset classes, enabling them to enhance returns as well as lower overall volatility. Growth in managed futures has been substantial. In 1980, $310 million was under management by managed futures trading advisors. Today, that number has grown to more than $250 billion. 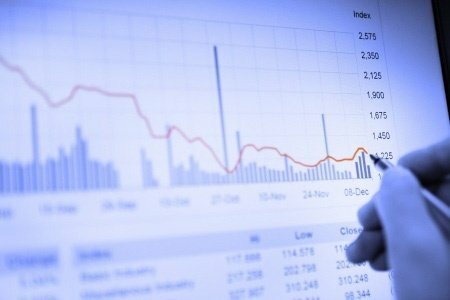 No longer are managed futures used exclusively by investment professionals. Over the last 10 years, participation in managed futures programs by individual investors has risen sharply. Today, managed futures programs can create portfolio diversification opportunities and lower overall volatility to many levels of individual investors. Over the last 12 years, participation in managed futures programs by individual investors has risen sharply. 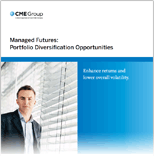 In this guide, prepared by the Chicago Mercantile Exchange (CME Group), you will learn more about how managed futures can create portfolio diversification opportunities and lower overall volatility, along with additional statistics on why they have become so popular.